I’ve been watching tape, video tape, from when our family was young. I would not be doing this but I’ve been finally preparing to have these tapes digitized for posterity. I don’t think the library of congress is all that interested but I hope, one day, my now emerging adult sons will be. And I think the odds of it all being lost somewhere along the way are not small. This whole task has led me to some insights about what you capture and how you hand it off to the next generation. 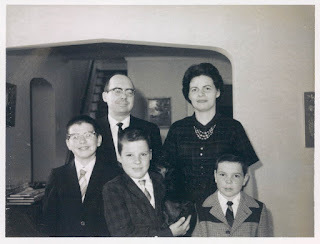 Some of what I share here is for people more at my stage of life (emerging adults still emerging) but a lot of my thoughts are going to matter most for those of you who are somewhere closer to the start of that arc of family history than us. I want our two sons to have a reasonable shot at having all these videos we recorded when they were young. My wife and I have things pretty sorted out on saving photos for them but I’ve put off dealing with the video, until now. The immediate impetus to work through the videos was learning about a service that makes it easy for me to box up the videos and send them off to the big digitizer in the sky (Tennessee, I think). You can also probably get this done with a local service in your city. Ask around if you are ready to do that. If you are going to capture videos of your family, I would record a lot more of the day-to-day family stuff than you otherwise might. I’m talking about playing, laughing, dancing, and bathing (use some discretion if you later desire that your emerging adults do not hate you). 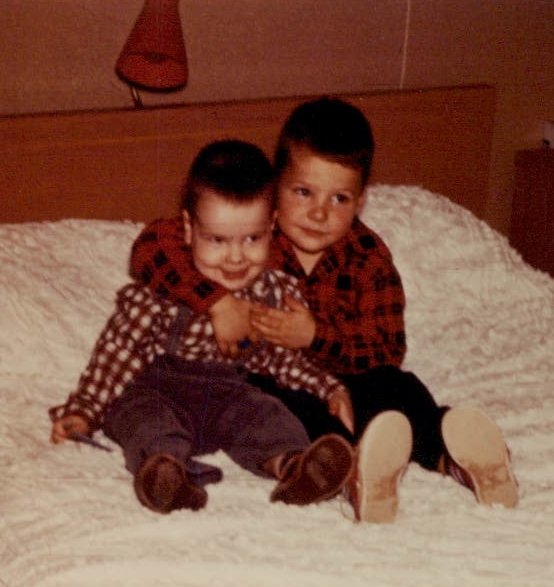 One of our most precious videos catches our sons dancing to a video of River Dance, maybe around the ages of 5 and 2.5. I say “maybe” because I’m too lazy to get up right now from typing to ask my wife, who would somehow know precisely how old they were at the time and maybe what they ate for lunch that day. I know they were little and cute, and they were enthusiastic in their dancing. Their dancing was electric as well as confirming of paternity. Um, let’s just leave that alone. Another of my personal favorites is of our youngest, maybe around 3, wrapped tightly in a towel after a bath, arms inside, looking like a little pastry with legs and no arms. He was trying to jump up on our bed without the use of his arms. It. Is. Hysterical. He tries and tries and tries and finally makes it. These days, we might call that grit. It is joy. In addition to such moments, we, of course, have a lot of video of birthdays and Christmas occasions as well as trips to and from various relatives. To grandma’s house we went and returned. That’s all nice to have, really it is. But the videos I am finding most precious now are the ones with just the four of us doing normal stuff. I also realize that I remember plenty of special occasions relatively well. At least, I don’t see things in those videos that surprise me or remind me of things I simply had no memory for, now. This suggestion is the one I didn’t see before this weekend. You might already get this. I didn't. Special occasions are so predictable. The special times are more staged and filled with expected moments. To me, the magical stuff is the loveliness of family life on the small stage. To the right is a completely unstaged photo from my own childhood. That's one of my older brothers hugging me. He's had a very hard life. This was not a special occasion, but of course it was. Record a lot more of child number two, and numbers three through whatever, if you have them, than you are already doing. We all know how this goes. The first child gets massive attention; the second, gets less. And even when you are trying to focus on the second, that will be affected by the first one developing massive skills in photo-bombing everything. Star Wars, indeed. Twenty years or more from now, when you are cataloguing stuff for your children to have, you might wish you’d acted a little more to capture more of everyone. We did pretty well but think about if you’ll find it awkward to hand over 70 videos of the first child and 30 of the second, and 10 of the third. Fourth child and beyond? Well, they will be happy that you still remember their name. You can counter this now, but only a bit. I get it. But try to record less of the first one (just try) and more of the others. You can thank me 25 years from now. I’ll stick around. I know a lot of families are very complex (step parent relationships, adoption when children are older, and so forth). Don’t avoid figuring out a strategy for your family just because it may be more complex. I will surely try to counter this possibility with notes, instructions, and guilt—for their own good. Consider all that is stacked against you in passing this digital stuff along. They need to know they have it. They need to remember they have it. They need to care that they have it while they can still preserve it. It needs to be kept in various places (like multiple copies). They need to have it in a way that it is remotely likely to be readable by much more advanced systems and formats in the future. I came across some Zip drives in my closet in the basement just this weekend. For those who are wondering, Zip drives were a type of floppy (inside) medium that could hold a whopping 100MB (that's an M not a G). I do not have any Zip drive devices anymore. I could go find one but I won’t bother. What’s on that format is lost forever. I didn’t throw those out yet but I will. Without looking. This is the hardest suggestion here for most of us to follow because it requires that you use some force to be somewhat more disciplined right now, amidst the drool, tears, homework, jobs, spectator events, and obligations of raising children. If you are like most people, you are capturing so many photos and videos that the task of figuring out later what’s valuable will become too daunting. That mountain of stuff will be useless unless you can capture less or cull more as you go. If you leave your children terabytes of digital memories, your children will need the NSA to comb through it all to find the best stuff. You may not be afraid but all I can say is, you will be. You will be. At least be afraid enough to be motivated. Here’s an idea I heard on the radio (podcast, actually—I am pretty current) from my favorite broadcaster covering tech, Leo Laporte. He recommends identifying 1 photo a month (yeah, that was a “1”. One. Uno. A singularity.). Then, send the digits for that picture off to a company that prints good quality photos on archival paper. Laporte noted that the service he’s using charges a buck or so per photo. His argument was brilliant. If you have some shoe boxes of these chosen photos, your children are highly likely to keep those boxes no matter what else happens on Alderaan. Smart. I think that’s quite a comment on the digitization of our lives. My wife made fabulous albums of our son’s early lives. These are amazing. And we have those. I am sure our sons will always have them. I have the equivalent from my parents, who are now gone. They didn’t have digital but I have the photos, like the one below. It's also a rare photo of me in a coat and tie. Like so many things in life, this task is simply expressed and difficult to accomplish. Make it easy and interesting for those who come after to keep memories of what came before. As enticing as oxytocin is to think about, with all the continual buzz about it as the trust hormone, cuddle hormone, and bonding hormone, there are also a lot of studies that show that it's role in human relationships is quite complex and depends on what researchers call moderators. Moderators are factors that change the way something works. For example, in the literature on happiness, there has long been some evidence (that may be recently getting overturned) that an extra 50k a year in money (just picking that out of the air) would make a much bigger difference in happiness for someone at very low income compared to someone with a lot of income. That makes sense. When it comes to moderators, oxytocin findings are quite a bit more complex. See my earlier posts noted above about some of the interesting findings, facts, and speculation. 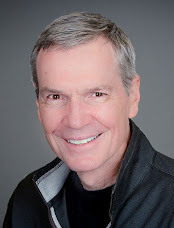 The most recent thing I have read is this tweet from Rolf Degen in which he summarizes findings from a recent study that suggests that oxytocin, in some conditions, reduces rule conformity. That's surprising because other studies that on oxytocin have suggested that it can promote or even induce trust in relationships. But perhaps it also has ways to make one more wary. If you want to read more the study Rolf Degan cites, you can find both the summary and a link within his tweet, here. One thing ongoing research shows us in so many areas of life is that we should be a little cautious in getting overly attached to one, simple view of how anything works. That's less convenient of course, but more real. Like so many others, I have been watching Olympic events with great interest. This piece just appeared on 8-10, and it's a solid examination by the folks at The Science of Us about the pressures on families, especially the parents, of world class athletes. Check out this story. Mostly, I suggest you just click on this link and drink in the photo of the parents There, they also link to a piece on Buzzeed that has priceless pictures and little videos. The "bobbing and weaving image is particularly choice--and it moves. And weaves. And bobs. Really, take a look. Sure, read the article at The Science of Us if you want, but I mostly want you to take in the pictures and little videos. A picture of parents watching their emerging adult child's life play out in real time. We are all Olympian parents now. A “Majority of Americans Now Believe in Cohabitation.” That’s the headline and conclusion from a national survey conducted by the Barna Group. [i] They surveyed 1097 adults in April 2016, finding that 65 percent of Americans now approve of cohabiting prior to tying the knot, while 35 percent do not. [ii] Given that nearly 70 percent of Americans marrying today will cohabit before getting married,[iii] these findings are not too surprising. Those identifying as liberal are more likely (86 percent) to endorse cohabitation prior to marriage than those identifying as conservative (37 percent). The survey also asked about behavior, finding that 57 percent of those surveyed had cohabited with a partner outside of marriage at some point. Further, and entirely consistent with what we might expect, older, more conservative, and more traditionally religious respondents were the least likely to report a history of cohabiting compared to the rest of the sample. The Barna Group found that 84 percent of those who approve of cohabiting before marriage said that it was valuable for testing compatibility. This has been the dominant belief of young adults for 20 years or more. By way of comparison, in a detailed report on attitudes related to family in 2001, sociologists Arland Thornton and Linda Young-DeMarco[iv] (citing findings from the Monitoring the Future project at the University of Michigan) noted that, by the late 1990s, more than three-fifths of high school students in the U.S. endorsed this sentiment: “It is usually a good idea for a couple to live together before getting married in order to find out whether they really get along.’’ Simply put, most young people believe this. The Barna Group found that other reasons for valuing premarital cohabitation paled in comparison to testing, with the reason that “it’s convenient/practical” coming in at 9 percent and “cheap rent” coming in at 5 percent (2 percent chose “other). From 2007 to 2012, we followed a national sample of 1294 unmarried young adults (ages 18 to 34) who were in serious romantic relationships, surveying them about their personal lives and relationships for 11 waves. [v] This is the Relationship Development Study (RDS), and the sample well represents Americans in that age range. At the first time point in this longitudinal study, we asked people if they were cohabiting and, if so, their reasons for doing so. Based on prior work in this area,[vi] we gave people six options for ranking their reasons for moving in with their partners[vii] (displayed in the accompanying chart). Although the Barna Group showed that most people who endorse cohabiting before marriage believe it is a good idea because it provides a good test of compatibility, that’s not the most common reason people give for actually moving in together. As you can see, we found that the number one reason both males and females gave for moving in together was to spend more time with their partners. Convenience was the second most strongly-endorsed reason, followed by wanting to take a step-up in commitment. [viii] Convenience would include the types of financial benefits noted in the Barna Group report. In our sample, men and women strongly diverged in two categories. Women were more likely than men to say they cohabited because they had a child to raise (13 percent vs. 6.6 percent) whereas men were more likely than women to say they cohabited to test the relationship (10 percent vs. 4.5 percent). We (particularly Galena) began carefully studying reasons people have for cohabiting around 2005 as part of a range of efforts to study cohabitation and why it was not typically associated with the improved outcomes in marriage that most people expect. 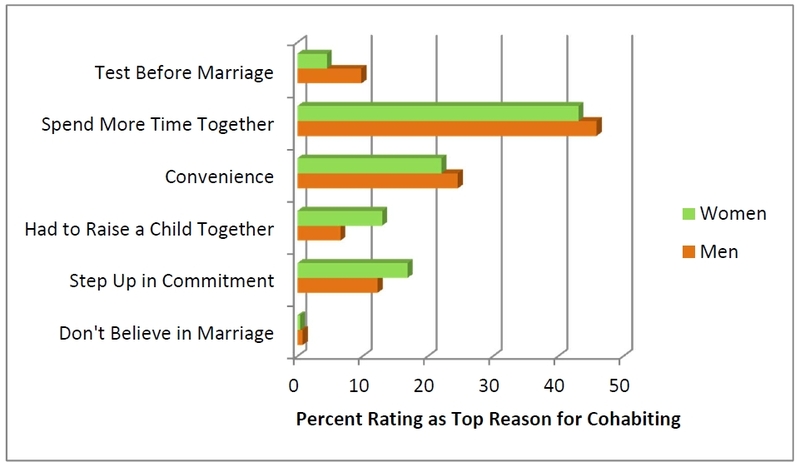 Using an earlier sample of cohabiters (not the national and more representative sample we have in the RDS), we gathered in-depth quantitative data from 120 couples, and we looked at reasons people gave for cohabiting and what those reasons were associated with (Rhoades, Stanley, & Markman, 2009[ix]). In that data set, the top three reasons people gave for cohabiting were to spend more time together (61 percent), financial convenience (19 percent), and to test the relationship (14 percent). These findings parallel those we obtained in the same sample of that report using a more sophisticated scale of reasons for cohabitation that we used in more complex analyses of what is associated with various reasons people hold for cohabiting. Women who reported cohabiting for reasons of convenience were more likely to report lower level of confidence in their relationships, less commitment, and higher levels of negative dynamics with their partners. Those findings are consistent with the fact that, for some, cohabitation is something driven by perceived and real necessities. Some people really do have poorer options, and they are more likely to end up in difficult relationships where cohabitation probably would not otherwise have been their first choice, at least with “this” partner. These findings suggest that cohabiting to test a relationship is associated with many kinds of negatives. Does that mean that cohabitation causes those negatives? Probably not. There is a lot more evidence that those negatives were largely there before cohabiting. We think of these findings this way. If you are considering whether or not you should move in with someone to test the relationships, it’s likely not the wisest thing you could do. In fact, it seems to us that many people who are thinking about testing their relationship by cohabiting already know, on some level, what the grade of that test may be; they are hoping that the answer looks better over time. Even cohabiting to spend more time together may not be without risk. We’ve argued elsewhere and often—with a lot of empirical evidence in many published studies—that the number one thing people miss about the risk of cohabiting is that it makes it harder to break up. Cohabiting relationships break up all the time, and increasingly so,[x] but the relative difference is the point. All other things being the same, a couple who is cohabiting will have a harder time breaking up than a couple who is only dating. We think that’s a big deal. If you want to read more about this issue, what we call “the inertia of cohabitation,” you can read more here and here and here. Or, see our 4-minute video on the subject: Relationship DUI. What’s the point? Simple, actually. Because many people cohabit before even having mutual clarity about commitment, such as through engagement or marriage, some people end up staying in relationships, including on into marriage, that they otherwise would have left behind. [xi] Essentially, many people slide into situations that make it harder to end a relationship before they have made a clear decision about what is best. The situation looks quite a bit different for those who have strongly clarified mutual commitment to the future before moving in together, such as by being engaged or even—gasp—being married. There are a lot better ways to test a relationship than to do something that makes it harder to break up before you’ve really figured it all out. Take a relationship education course (i.e., some kind of premarital preparation before you even get engaged), talk about what a future together would look like, and see if you are compatible by dating. Take the time to see your partner in a lot of different social settings. Ever take any college classes? If so, you know that people sometimes sign up for a class and then decide, part way in, that it’s not for them and they drop the class. But some people figure it out too late and cannot drop the class or, at best, drop it late and lose their money. It’s easy to slide into cohabitation without even a serious discussion or decision and then get stuck. When it comes to moving in together before marriage, some people may find that they are failing in a class that has become too hard to drop. [ii] In creating their report, the Barna Group combined those who either strongly or somewhat agree into one group and those who either somewhat or strongly disagree into the other. [iii] Manning, W. D. (2013). Trends in cohabitation: Twenty years of change, 1987-2010 (FP-13-12). National Center for Family & Marriage Research. Retrieved from https://www.bgsu.edu/content/dam/BGSU/college-of-arts-and-sciences/NCFMR/documents/FP/FP-13-12.pdf; See also Kennedy, S., & Bumpass, L. (2008). Cohabitation and children's living arrangements: New estimates from the United States. Demographic Research, 19(47), 1663-1692. [v] You can find out more about the sample and the methods in these articles: Rhoades, G. K., Stanley, S. M., and Markman, H. J. (2010). Should I stay or should I go? 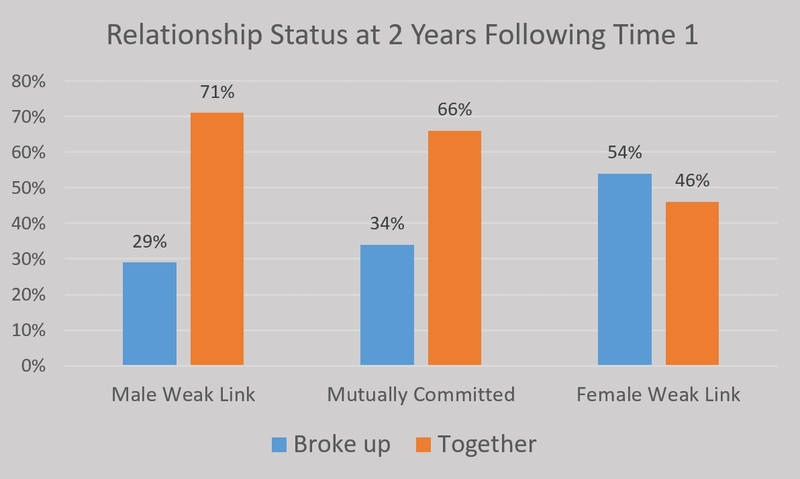 Predicting dating relationship stability from four aspects of commitment. Journal of Family Psychology, 24(5), 543-550.; Rhoades, G. K., Stanley, S. M., and Markman, H. J. (2012). The impact of the transition to cohabitation on relationship functioning: Cross-sectional and longitudinal findings. Journal of Family Psychology, 26(3), 348-358. [vi] We also gave people the option of saying they moved in together because they did not believe in marriage, which was endorsed by less than 1 percent of the respondents. [vii] These particular findings from our national sample have not, as yet, been published. [xi] Stanley, S. M., Rhoades, G. K., and Markman, H. J. (2006). Sliding vs. Deciding: Inertia and the premarital cohabitation effect. Family Relations, 55, 499-509.; You can read a full text version of this paper here.